Offering a wealth of governmental experience and an intimate knowledge of the Orthodox community, Simcha Eichenstein on Thursday declared his candidacy for the state Assembly seat being vacated by Dov Hikind. Speaking at Hamodia’s office, the 34-year-old veteran of the de Blasio administration said in an interview that he will run in the Democratic primary this September to replace Mr. Hikind, a longtime lawmaker who announced this week that he will no longer run. 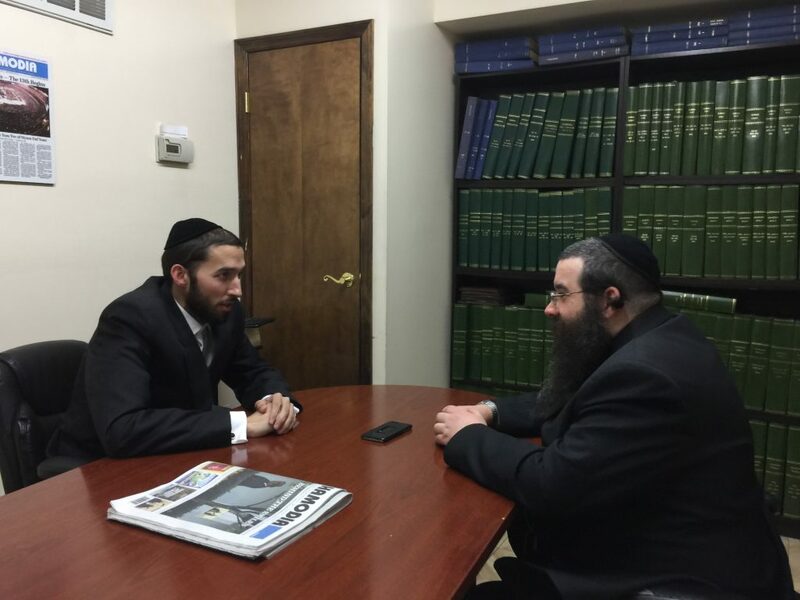 Mr. Hikind is supporting Mr. Eichenstein’s candidacy and intends to campaign with him. 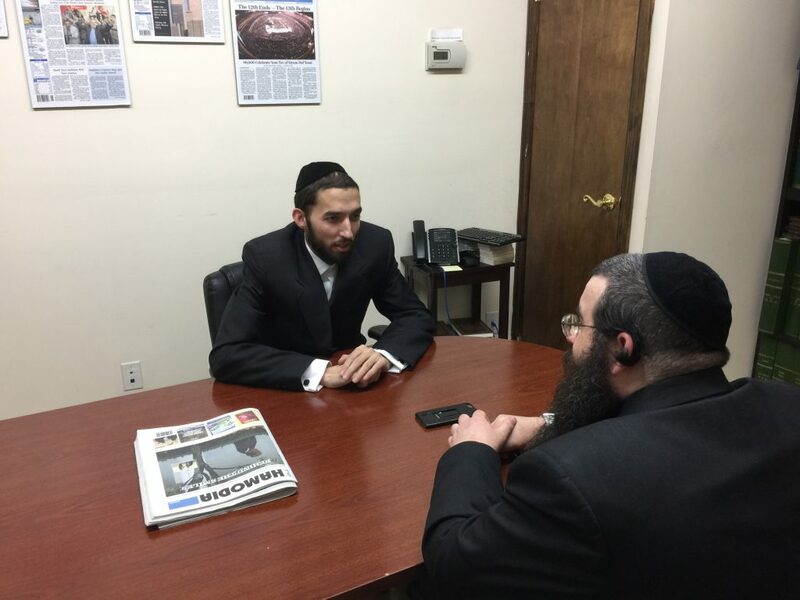 Simcha Eichenstein was immediately endorsed by several of the 48th district’s large kehillos, as well as community activists. Mr. Eichenstein has prior experience working in Albany, having served as a senior advisor to state Comptroller Thomas DiNapoli from 2011 until 2015. The district is mostly comprised of Boro Park, although 30 percent of it is in Flatbush. Leon Goldenberg and Chaskel Bennett, cofounders of the Flatbush Jewish Community Coalition as well as members of Agudath Israel of America’s board of trustees, echoed the endorsement. Prohibited by law from running for office while serving in a policymaking position, Mr. Eichenstein on Thursday left his City Hall position. He filed his paperwork to run Thursday.